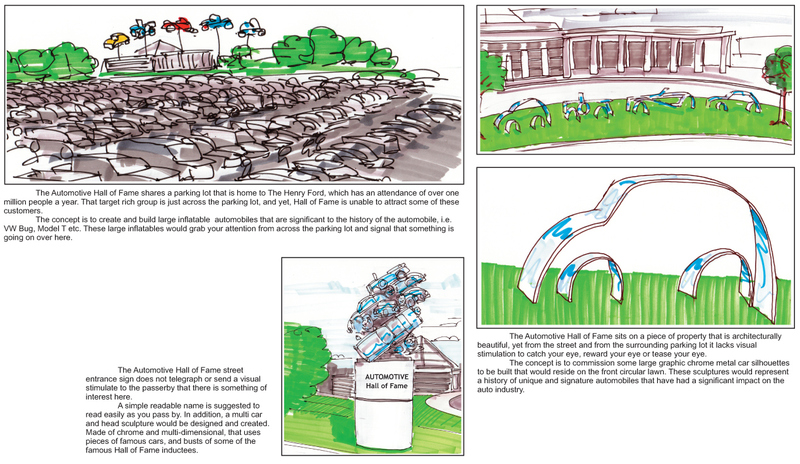 The Automotive Hall of Fame needed some ideas to help promote more people to come and visit their great collection. They sit close to the Henry Ford and Greenfield Village structures, actually sharing the same parking lot. OPTIMideas suggested a some graphic ideas that would catch people eyes as they walk through the parking lot. They ideas were to drive them towards the building and invite them in.